TVB actress and 2015 Miss Hong Kong winner Louisa Mak (麥明詩) has always been known for her beauty and brains. The Cambridge law graduate’s decision to join the entertainment industry despite her high level of academic achievement was a shocker. However, she may not be giving up on being a lawyer just yet, as news broke out that she obtained the qualifications to practice law in the United States. Reportedly, Louisa has been using her spare time in between filming dramas to self-study United States’ law courses. Although she decided to become an artist after graduating from Cambridge University, it turns out she did not let that stop her from pursuing the legal profession. If she no longer wants to be an actress one day, she can still switch to being a lawyer any time. 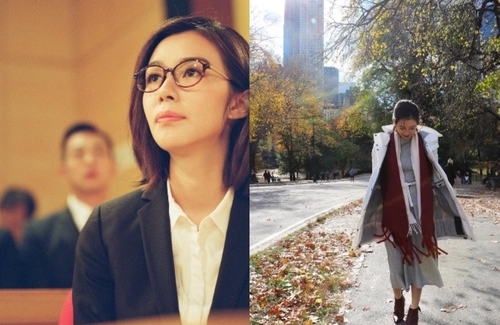 Perhaps the audience will be even more convinced with her portrayal of a new lawyer in her recently released drama OMG Your Honour <是咁的，法官閣下> now that she is a professional lawyer in reality. She will be far more successful in becoming a lawyer than being an actress. beauty and the brains. finally to have someone like her in hk entertainment. who else can you think of? Aarif Lee studied physics in England. He’s a combination of talent, brains and gorgeous looks. Good for her to be licensed. Not an easy feat. When did she pass the NY Bar exam? I could not find her name on candidates who passed the bar in July 2018. @nchunky And there’s her email address! Cool!